Leo Club of University of Moratuwa (UoM Leos) is one of the best clubs in Leo District 306 A2 Sri Lanka and Leo Multiple District 306, Sri Lanka from its inception. Leo Club of University of Moratuwa was established in 23rd July 2003, as the 2nd university based Leo Club in Sri Lanka and as the 1st Leo Club in Leo District 306A. Lions Club of Dehiwala North, a leading Lions Club in District 306A, provided the sponsorship for the club. We originated as the second University based Leo Club in Sri Lanka and the first in Leo District 306A2, on 23rd June 2003, under the presidency of Leo Nadun Gunawardhana. So far we've achieved a lot under many leaders and guidance and still dedicated to continuing the excellence. LEO - ' Leadership - Experience - Opportunity', we share as one family'. While giving the priority to gain experience, we commit to do social services and help the people who needed it the most, in many perspectives. It's an effort to create the future leaders who feel people the most. It's not all about awards, but our contribution and dedication were always appreciated. 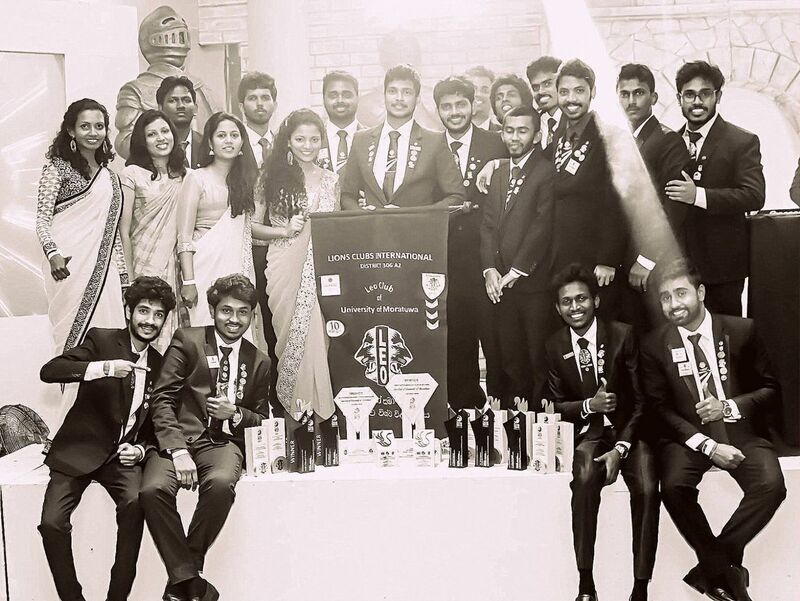 Most recently, we were rewarded with the title "The Most Outstanding University Leo Club of Sri Lanka, Leostic Year 2016/2017" along with many other awards. The achievements and awards we gained so far are countless. They always remain with us as tokens of appreciation and models for motivation.